HAWTHORN has signed former St Kilda forward Darren Minchington as a delisted free agent. The Hawks were mulling over whether to recruit the 24-year-old as a rookie or put him straight on to the senior list. Will Langford's delisting and retirement, but mooted move to the rookie list since he is contracted until the end of 2019, opened up a spot for Minchington to join the senior list. Injuries ruined Minchington's year – left knee surgery and hip issues being the main problems – and he didn't line up in a senior game. 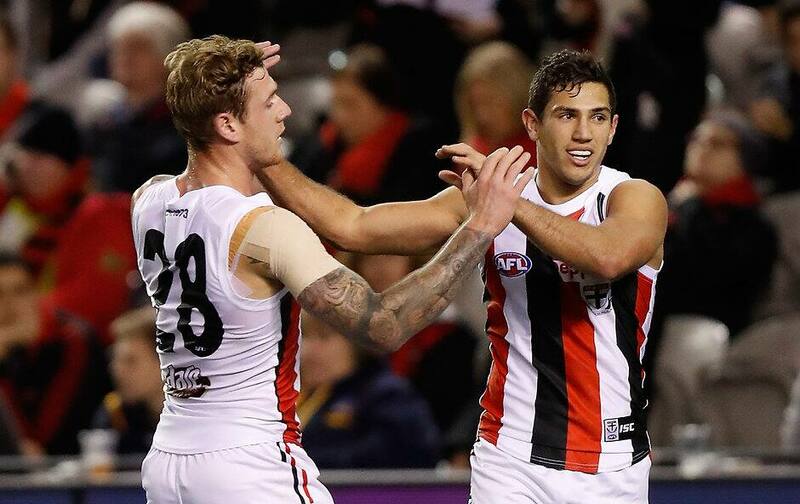 He has managed 28 matches in his senior career since being recruited by the Saints in the 2011 NAB AFL Rookie Draft. However, Minchington offers pressure up forward and he has an impressive side-step to escape tacklers in congested situations. He has bagged three goals on each of the three times he has faced Geelong, which has been one of the Hawks' main rivals in the modern era. "Darren has been unlucky with injury during his career, but we have seen him excel in the VFL despite these challenges," recruiting manager Mark McKenzie told hawthornfc.com.au. "Darren is a young man of great character and we look forward to working with him to maximise his full potential."